Maidstone, Vermont is another town to have tales of “Slipperyskin”. The famous bear. Slippery Skin – was an oddity, a fearsome animal that become a legend. Slippery Skin managed to elude every trap that was set for him. The large, baar destroyed fenses, fed on gardens, frightened livestock and flattened cornfields. Maidstone is a sparcely populated, rural region of the Northeast Kingdom. 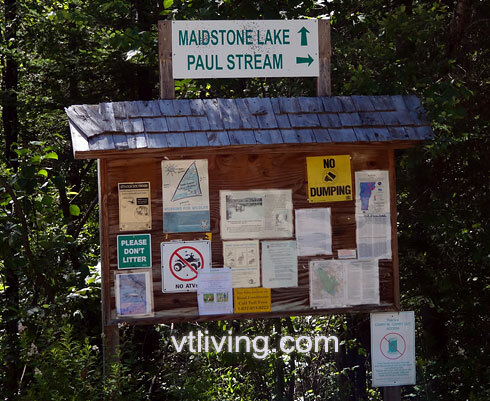 Maidstone is the home of Maidstone Lake and Maidstone State Park – which offers a public boat launch onto Maidestone Lake. 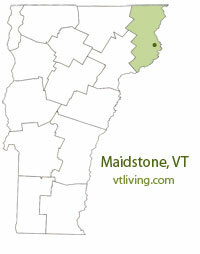 To share any Maidstone, VT information, contact us. Learn more about advertising in VTLiving.